Josh and I didn’t celebrate the holidays with big gifts for each other this year but instead made some special memories as a family of three. We took a weeknight before the holiday craze just to ourselves, retreating up in the mountains at the beautiful Goldener Hirsch Inn. We were greeted with fresh cookies and cocoa as well as a tour of the European style chalet, designed after the historic Switzerland Goldener Hirsch. After walking around the ornate lodge and getting the full gracious welcome, we unpacked our bags and got ready for dinner. 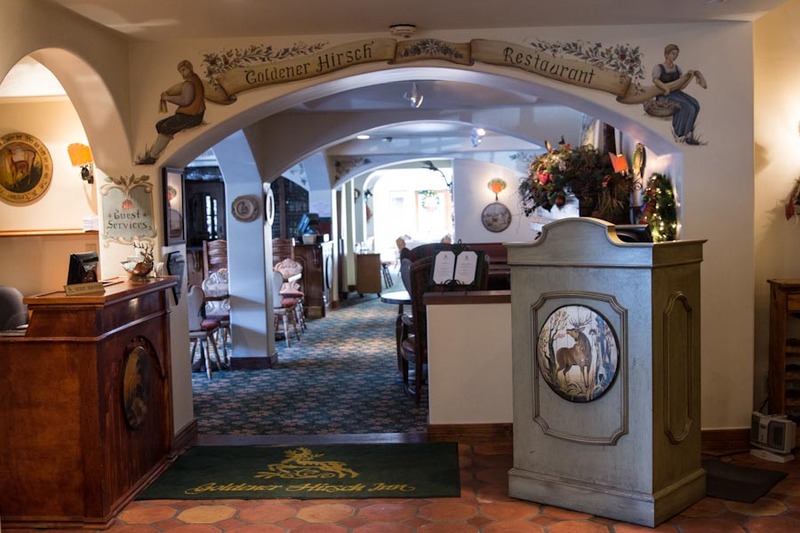 Dinner at the Goldener Hirsch is extremely unique to the area. They offer traditional Alpine cuisine in a charming Austrian setting. On the menu you’ll find traditional German Schnitzel and fondue, as well as more modern dishes like Seared Main Diver Scallops and Utah Stealhead Trout with beets and a green goddess dressing. We made room for dessert after hearing from the chef of their lemon olive oil cake with blood orange sorbet and pistachios. We enjoyed every bite of our meal and retired to our suite completely satisfied. Every guest at Goldener Hirsch is treated to their special breakfast, and after a night with our sweet teething baby, we needed just that! Our morning turned much brighter when I had a bite of their lemon ricotta pancakes! After breakfast we walked out onto the slopes to play in the snow with Everett for the first time. He seemed to enjoy the snow and ignored the cold weather. 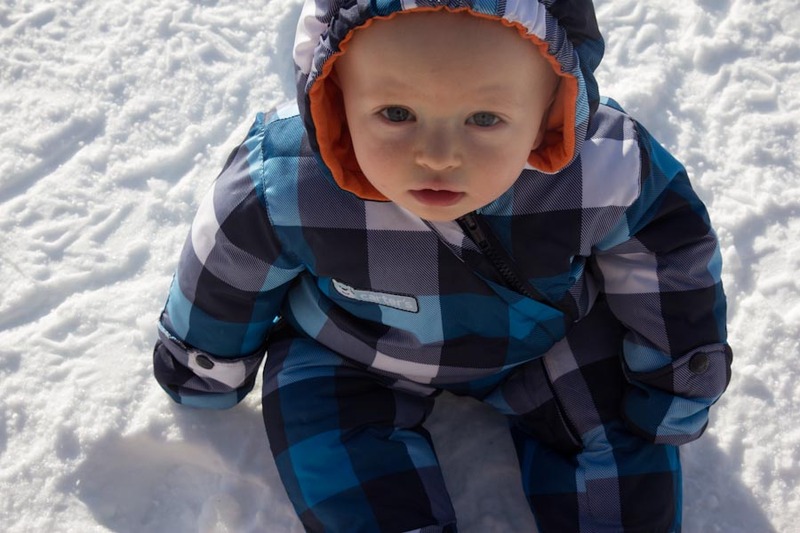 It doesn’t get much cuter than a baby in a snow suit!! There are a lot of places to get away to in Utah, that’s one of the reasons we love living here so much, but the unique (less commercial) spots are more rare. These are the ones we really seek out – the places with a story and with true character. 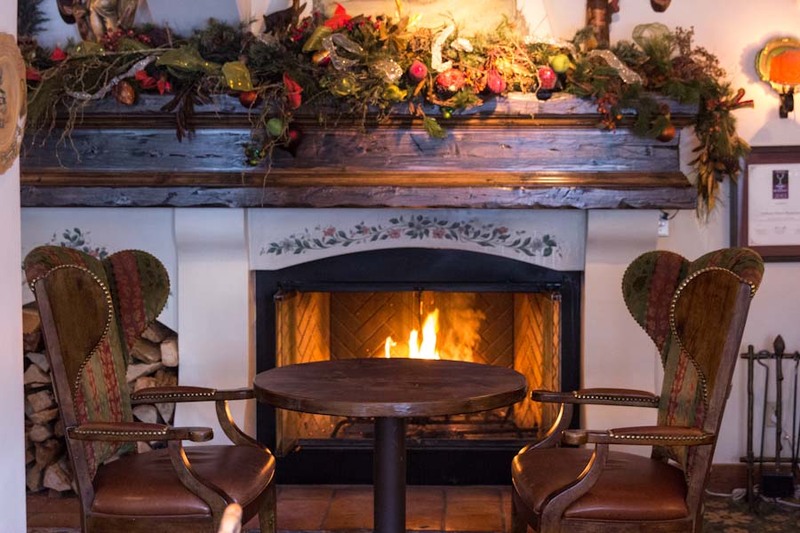 We found Goldener Hirsch Inn to be a little gem among the big shiny hotels in Park City. 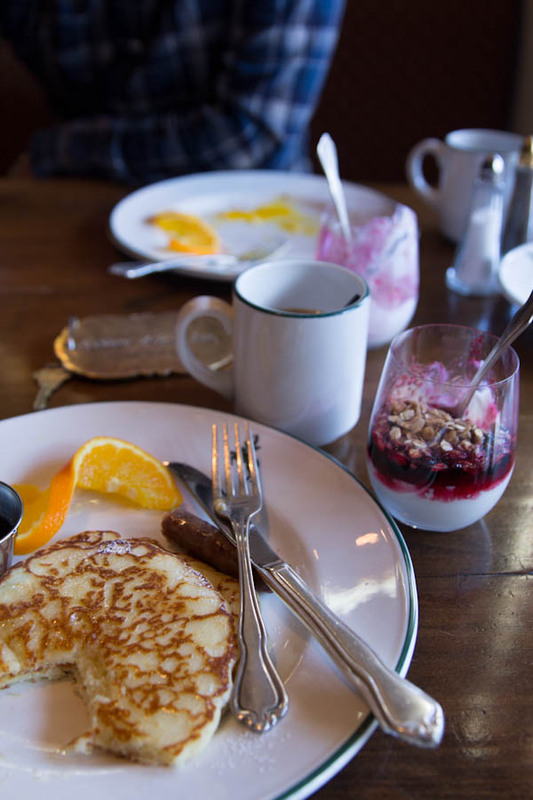 It’s a small, hospitality centered, bed and breakfast that easily won over our hearts. We look forward to bringing Everett back here in the future! Such a nice gift to each other! What a great place to stay. Love the sounds of that food! 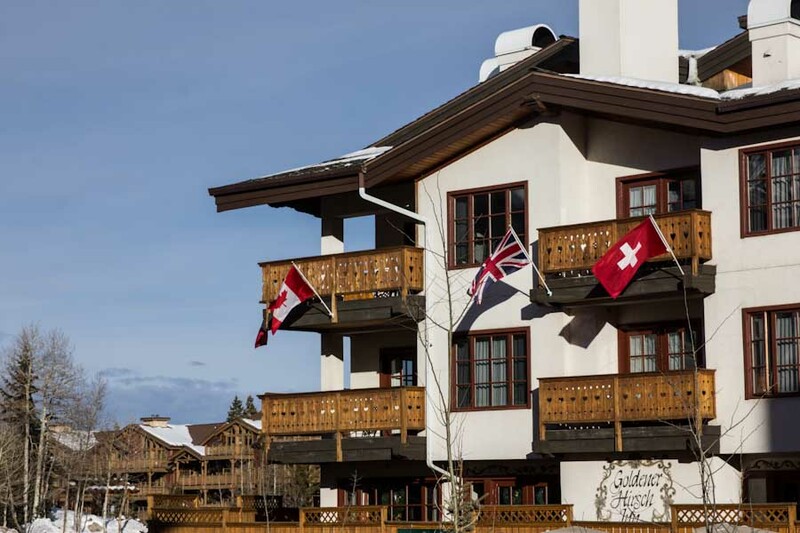 Debra, the food at Goldener Hirsch created the perfect alpine experience! !